Technology is great, when it works. The process in developing and managing technology is critical. 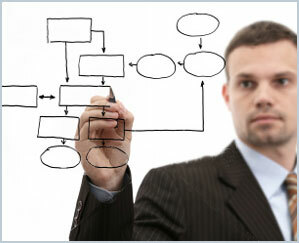 Methodology is important in maintaining a repeatable process, ensuring that past lessons are used on future projects. The PMI Project Management Body of Knowledge (PMBOK) helps guide the project management community in pursuing consistent results. TimeGhost Project Management Consulting LTD. is an independent Project Management Consulting firm with strength in Information Technology and Telecom. TimeGhost Consulting is comprised of consultants certified with the PMP credential. The principal consultant Keith Gill, BASc, PMP has been a member with The Project Management Institute since 2003 and has served 4 years in various roles with the Regina/South Saskatchewan Chapter Board of Directors. Keith has also attended various PMI Leadership meetings and Global Congress events with PMI global. TimeGhost consultants are currently engaged with multiple telecommunications organizations project managing BSS and OSS systems projects, and Program management of various identity management and website projects within the telecom industry.